Discs or Drums? That Is a Fleet’s Question! Not all fleets are convinced of the benefits of air disc brakes. 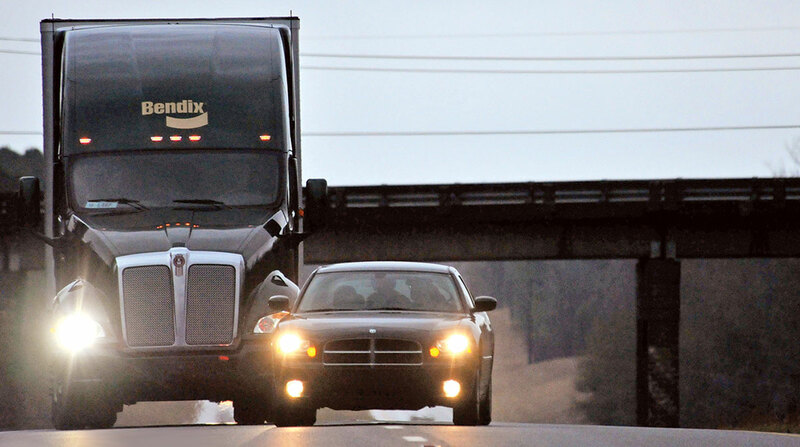 But suppliers maintain there is a growing acceptance of them for heavy-duty trucks, driven by an increase in the deployment of active safety technology, such as collision mitigation and avoidance systems. Fleets’ perspectives run the gamut from, “We love them,” as stated by ­David Stevenson, president of Gilmer, Texas-­based Custom Commodities Transport, to “We have not extensively looked [into air disc brakes]” in the case of Dan Deppeler, vice president of maintenance at Paper Transport Inc. The company wants to see better economics first, he said, noting the upfront cost for ADBs is significant. Many variations of those two opposing opinions are out there. In the case of Hirschbach Motor Lines, where the trucks had been spec’ed with disc brakes at every wheel position — including trailers — the company has reverted to spec’ing drum brakes on the drive axles. However, it is continuing with ADBs on the steer axle of the ­newer tractors, said John Vesey, the fleet’s operations support manager. The main reason the company went to ADBs was due to advances in disc brake and vehicle design that resulted in weight savings over drum brakes available several years ago, he said. Now he is spec’ing a lightweight steel jacketed brake drum. The drive axle disc brakes were plagued with high rotor wear, necessitating rotor replacements that reduced any maintenance savings, he said. Kirk Altrichter, vice president of fleet services at Kenan Advantage Group, mostly a tank operation, also had problems with early disc brake designs. He only recently came around to spec’ing ADBs — first on trailers and now on steer axles. Altrichter remains on the fence for drive axles. “I moved everything over last year on trailers, and I moved the steer axle to ADB this year,” Altrichter said. There were weight and cost penalties with early ADBs, but much of that has been eliminated, said Altrichter, who spoke about disc and drum brakes during the Technology & Maintenance Council’s annual meeting earlier this year. Jon Morrison, president for the Americas at Wabco Holdings Inc., said he was surprised to hear about some fleets’ caution on spec’ing drive axle ADBs. With the purchase of Meritor’s share in the Meritor-Wabco joint venture late last year, Wabco has invested heavily in a field service team to address problems early and find solutions, he said. “It’s something we monitor very ­closely. We haven’t had any customers revert back,” Morrison said, noting that moving to ADBs is an important decision. “Weight is one concern and we’ve been able to reduce the cost and work with the OEMs to optimize the configuration of the wheel-ends for disc brakes,” he said, noting this helps with overall performance and acceptance. Also, Meritor’s ADBs are compatible with most collision mitigation systems currently on the market, he said. This is a consideration for Kenan Advantage’s Altrichter. 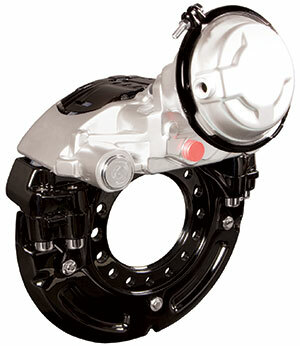 Similar to the other players that make ADBs, Haldex sees a major shift in heavy-duty braking on the horizon. Disc brakes, Wabco’s Morrison added, no longer impact used value at trade time and keep the promise of low cost of ownership. Over time, I see a blending of safety systems and [air disc brakes]. 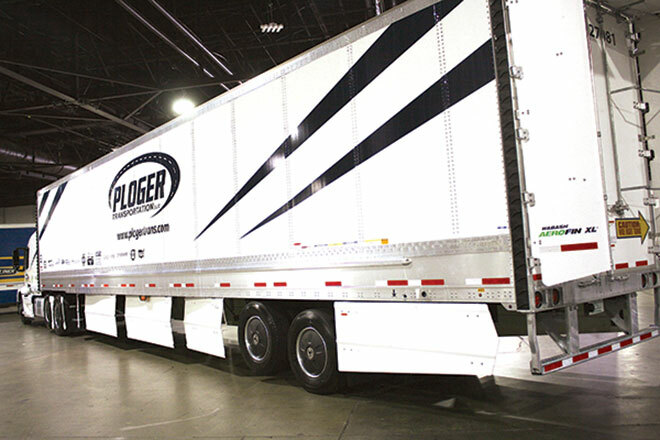 At Ploger Transportation, disc brakes are part of the fleet’s drive for fuel economy. According to Haldex’s Chappell, market penetration for ADBs will reach 50% by 2020 to 2021. That’s when the company will introduce a single-piston tractor disc brake engineered for the North American market, he said. For specialty suspension manu­facturer Reyco Granning, safety was an important factor in designing an independent front suspension, or IFS, for fire trucks and recreational vehicles. “One of the first products we incorporated ADB on was a motorhome IFS rated at 16,600 pounds,” said John Hinz, chief engineer for powered vehicles. The company’s first IFS units were built for drum brakes, but its customers ultimately requested disc brakes for safety reasons, he said. Most of Reyco Granning’s IFSs come with the Bendix ADB22X but stepping up to Bendix’s higher capacity SN7 disc brake has allowed the company to engineer a fire-truck suspension with a 24,000-pound front axle rating, showing the capability of the disc brake in demanding applications. This capability of the ADB is attractive to Custom Commodities Transport’s Stevenson. “We do liquid and dry bulk, and we’re very satisfied with air disc brakes,” he said, adding their ease of maintenance also works well for the fleet’s truck technicians. ADBs allow the company to be more responsive with drivers who are “not so attentive or there’s human error from the general motoring public,” Stevenson said.